At just Rs. 4000/- affordable priced Fly E321 mobile phone now available in Indian telecommunication store. 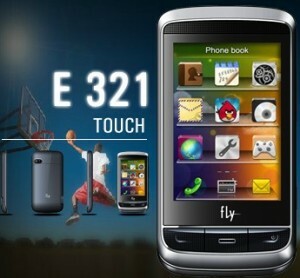 Fly mobile company has launched Fly E321 affordable priced Dual SIM touchscreen phone.The Fly E321 is feature is social networking and instant messaging . The Fly E321 integrated with a 3.2-inch QVGA touchscreen display with 240 x 320 pixels screen resolution, multi format music player, video player, Stereo FM Radio, dedicated volume keys, 3.5 mm audio jack, 2.2MB internal memory which can expanded up to 32GB. The dual sim touchscreen phone also supports 2G, Wap, Wi-Fi, Bluetooth and USB data connectivity and 1000 mAh powerfull battery gives long talktime up to 10 hours. Rs. 4,000/- Apoxx priced in indian telecommunicaiton store or retailer.